Hi y'all!! SugarPea Designs are so pleased to be sharing in the excitement of STAMPtember with our friends at Simon Says Stamp! 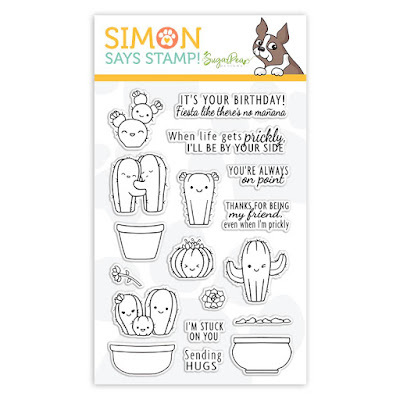 Today we’re thrilled to share with you a stamp set created exclusively for this event and only available while supplies last, called Cuddly Cati! There is also a coordinating die set and you can purchase them as a bundle or separately! Without further delay here's a look at my card using this super cute set. 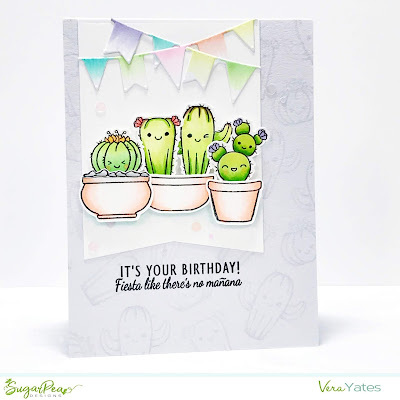 For my card, I started by stamping the smiley cactus randomly on my card base. Then, I die cut the flag using Stitched Flag dies. I consider this as one of my classic, must have dies that can be used for so many occassions. If you have followed me for a while, you'd notice that I have used this dies quite a bit. Next, die cut the banners from Party Banner Duo and colored them with Copic. Once I am happy with the way the banner looks, I worked on the cactus arrangement. Aren't they so happy looking? Adhere the flag to the card base. Finished the card by stamping the sentiment and sprinkle some pretty sequins. You will love this set. Here's a look at the set. Cuteness overload, right? 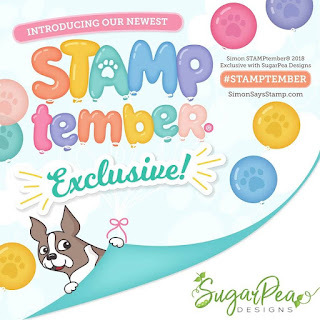 Now, be sure to check out the SugarPea Designs blog to see what the rest of the design team has come up with! And, remember, this is an exclusive set that's available at limited amount. So, better get it if you want it. Can't blame me for enabling for something this cute!! 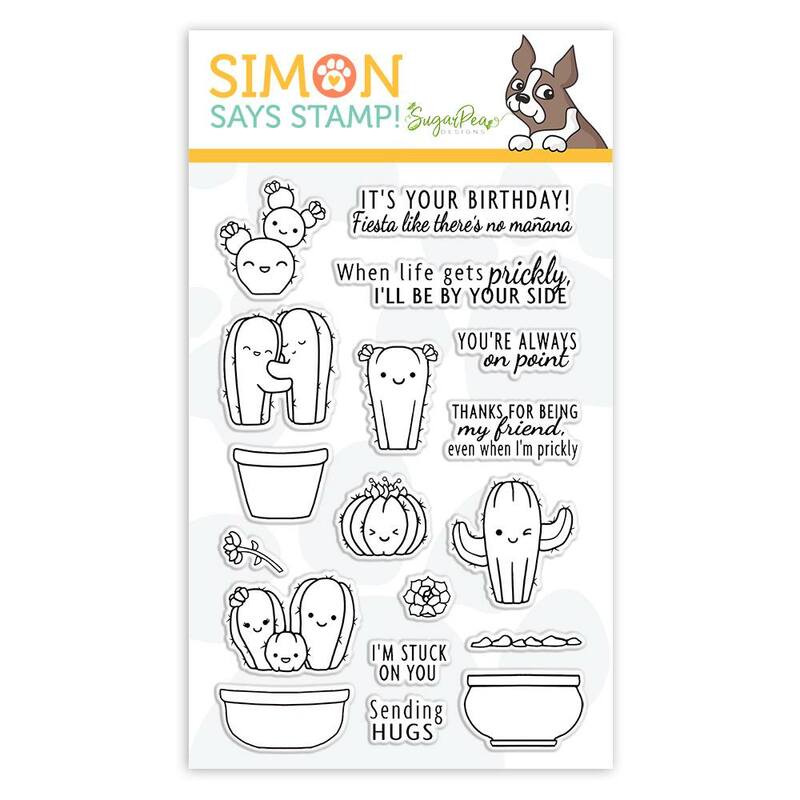 ;) Happy STAMPtember!! So sweet Vera. Love the Cacti. Great festive card. Thanks for sharing your creativity. Super AWESOME & CUTE cuddly cactus friends! Fabulous card Vera! Love how you colored the banners to match the colors on the cacti! I like the background you created. perfect coloring on the cactus. 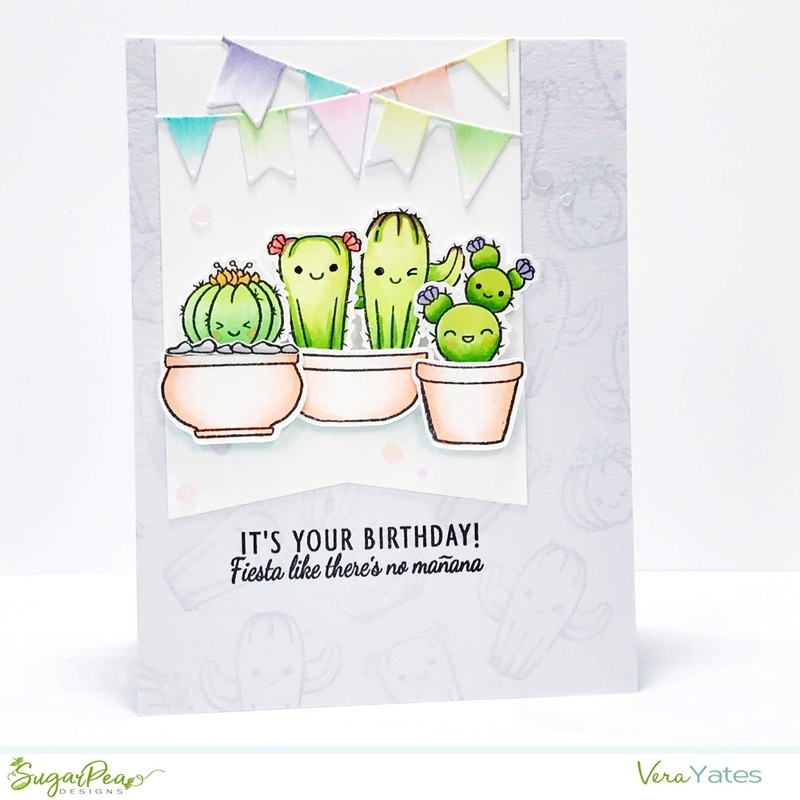 Great cactus card and I like the soft banner at the top. A great idea and could be used with more color for a great Fiesta or Cinco de Mayo card idea! TFS!